Student learning outcomes in courses lead by professors who don’t have experience teaching in flipped classrooms. Student learning outcomes in courses where the professors have experience teaching in flipped classrooms, but the courses themselves have never been taught in flipped classroom format before. Potential employers are increasingly interested in hiring employees who are skilled at problem solving and working in groups, and one of the best ways to prepare students for this workforce demand, is to implement flipped classrooms in the universities. Flipped classrooms help students develop problem-solving skills, and naturally promote teamwork and group learning. Two courses are discussed in this paper, both of which use Analog Discovery boards to support experimental learning in flipped classrooms. The first course studies the effect on student learning outcomes when the instructor is new to the flipped classroom format, and the second course studies the effect on student learning outcomes when the course itself is new to the flipped classroom format. The students who participated in the study were first year students in their first engineering course, and 2-4th year students from non ECE majors who were interested in learning circuit content. The variables of interest for this study included “examination of student and faculty prerequisites of learning, immediate self-reported learning, and potential long-term transferable outcomes.” This data was collected through student surveys (before and after, and topic specific), interviews with faculty members, and through classroom observation and observation of specific student groups. 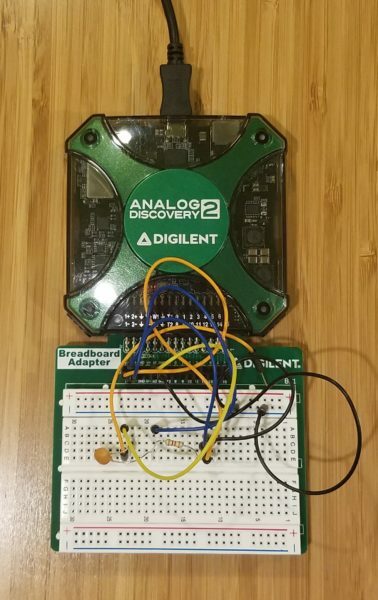 Students were asked specifically about the use of Analog Discovery 2 boards as a means of increasing experimental learning and problem-solving skills. Today we will examine the setup of this study, and the results from part one. Our next installment will detail the part two results, and additional barriers encountered while conducting the research. In the fall of 2015, an experienced instructor volunteered to teach Electrical Instrumentation (EI) for fall 2015 and spring 2016 as part of this study. The professor had taught EI before, but had never taught it as a flipped classroom. A total of 184 students participated in the study, 80% of whom were male, 72% white, and 92% spoke English as their primary language. The evaluators observed that in the fall semester, the instructor used a combination of lecture and hands-on learning. However, in spring semester, the instructor decreased the amount of time spent lecturing, and increased the time students spent on hands-on experimentation with the Analog Discovery 2. 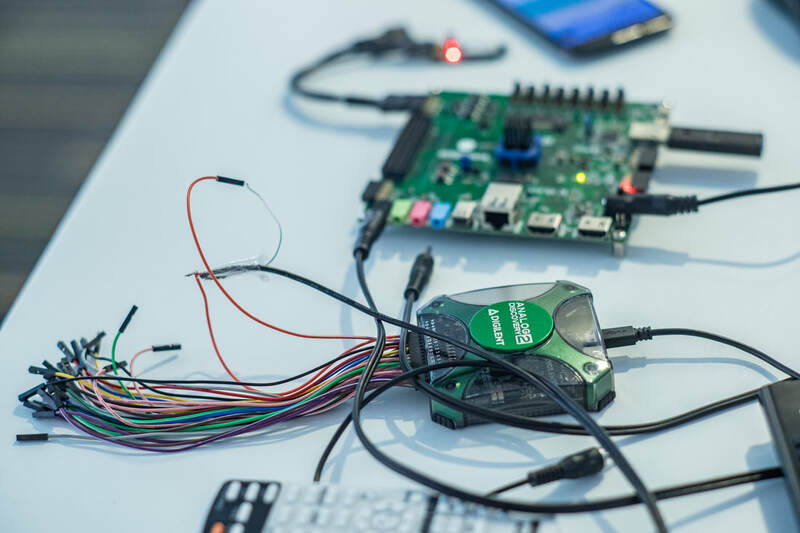 Instead of using class time for lecture, the instructor relied on videos and readings that students could use outside of class, and reserved the bulk of class time for hands-on learning with the Analog Discovery 2. The evaluators also noticed that interactions between the instructor and students also changed. Students first asked many “how” questions, but as time spent with the Analog Discovery 2 increased, students began asking fewer “how” questions and more “why” questions, indicating a deeper engagement with the material. Use of the Analog Discovery 2 also increased the time that students spent working together during class time. 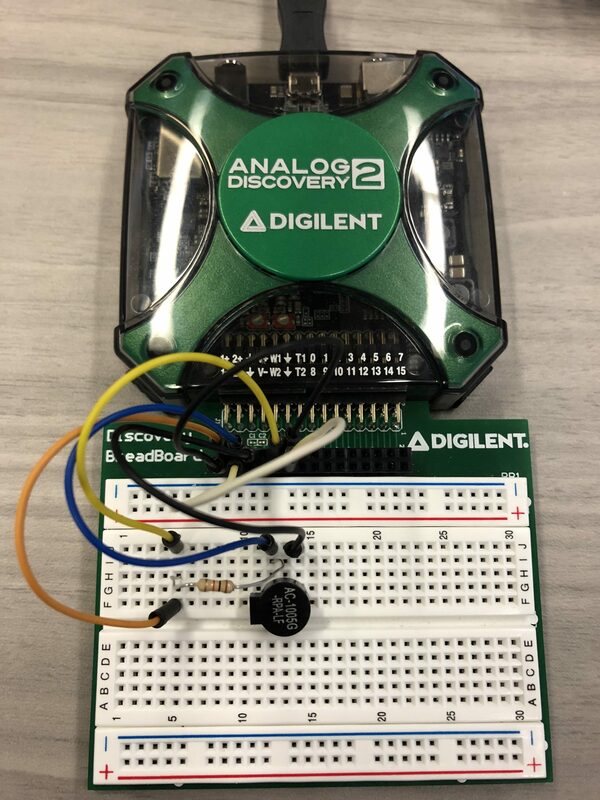 Immediate Learning Outcomes: 69% of students felt that the Analog Discovery 2 helped them understand how AC/DC circuits are used in practical applications. 72% of students reported that using the Analog Discovery 2 helped increase their overall knowledge. 71% of students felt that the Analog Discovery 2 helped them visualize problems in graphical/pictorial ways. 62% thought that the Analog Discovery 2 helped them develop problem solving skills. Long-term Learning Outcomes: 47% of students felt that the use of Analog Discovery 2 helped them develop skills necessary to work collaboratively with others, and 58% felt an increase in self-direction and self-responsibility. 52% of students felt an increase in problem solving skills, while 53% felt that they were better able to apply what they learned to new problems. The instructor felt that having an experienced instructor to consult with was vital for success. Adequately trained TAs are also important for student learning and success. The instructor also noted that it is difficult to go from a non-experimental learning format, to a flipped classroom in just one semester, and suggested that in the future, instructors gradually switch to a flipped classroom over the course of a few semesters.